All across California, including Natomas, bicyclists share the road with motor vehicles. Under California law, these individuals must adhere to the same rules and responsibilities as the cars and trucks on the road. Most bicyclists are respectful of these requirements and work to enjoy a healthy activity without interfering with drivers. However, far-too-many drivers do not extend the same courtesy. A failure to provide enough space between a car and a bike can have devastating consequences. In addition, many drivers do not pay enough attention to realize there is a bike in the vicinity until it is too late. Collisions between motor vehicles and bicyclists lead to serious injuries and fatalities. According to statistics compiled by the National Highway Traffic Safety Administration (NHTSA), in 2013, there were 743 bicycle and motor vehicle crash fatalities across the country and an estimated 48,000 injured individuals. This marks the continuation of a trend of increasing fatalities over three years. Bicyclist (or pedal cyclist) deaths accounted for two percent (2%) of total motor vehicle fatalities. Watch NHTSA's video below for some basic safety tips when you are out riding your bicycle. If a person has been injured in a bicycle accident, or a loved one has been killed, it is crucial to contact an experienced Natomas Bicycle Accident Lawyer as soon as possible. There is a limited time in which a legal case may be filed. In order to bring that action, it is necessary to have done an extensive investigation into the negligence of the other party who caused the accident. There must be evidence to show that the person did, in fact, act negligently. Any delays may lead to a deterioration of the physical evidence and a diminished recollection of the facts by witnesses. In addition to a thorough investigation into the facts of the accident, our skilled attorneys also are ready to do everything necessary to get our clients the right results. 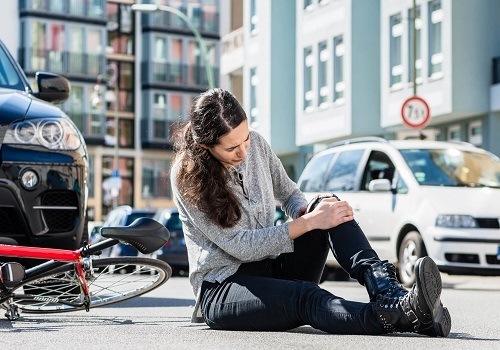 Depending on the nature of the accident, we may use bicycle accident reconstruction experts to demonstrate the negligence of the driver and the impact that this had on a person who was injured. Whether through an effective settlement negotiation or a jury trial award, we will do everything possible to get our clients the results that they deserve. Punitive damages – These rarely are awarded and only where a trier-of-fact has determined that the actions of the defendant were egregious. I’m Ed Smith, a Natomas Bicycle Accident Lawyer, with the primary accident information site on the web, www.AutoAccident.com. If you or a loved one has suffered an injury in a bicycle accident caused by the negligence of another, call me for free, friendly advice at 916.921.6400 or 800.404.5400. The Natomas Bicycle Accident Lawyers at the Edward A Smith Law Offices are ready to fight for your rights and interests. See our client reviews on Yelp, Avvo, and Google. We are members of the Million Dollar Advocates Forum and the National Association of Distinguished Counsel.